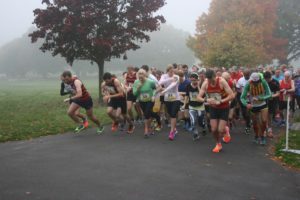 The 9th Annual Emer Casey London 10k will take place in Brockwell Park, Herne Hill on Sunday, 29th October next at 9.30am. The Foundation is indebted to Herne Hill Harriers, who have again done the lion’s share in organising this event. This is a community event in picturesque Brockwell Park and is open to runners, joggers and walkers of all abilities. All the proceeds of the race will be donated to the Emer Casey Foundation in pursuit of our three goals of raising awareness of ovarian cancer, raising standards of care for those affected and raising funds for research into this deadly disease. The good news is that the entries are flying in this year so don’t delay with your registration! Entries are now open and online entries can be completed here. The race will be run under UK Athletic rules and the entry fee is £10 for club runners and £12 for unaffiliated runners. A booking fee of £1.50 will apply in all cases. In addition to this great value, each finisher will receive a memento on the day, promoting the work of the Foundation and the event. Entries will be accepted (£14) on the day provided that the entry limit of 300 participants has not been reached. Entry in advance makes it easier for everyone and is encouraged! Race instructions will be emailed to all entrants and race numbers will be available for collection on the day. We regret that buggies, children under 15 years or pets are not permitted under the licence rules. The race HQ will be situated at Brockwell Hall which is in the centre of the park, where changing and baggage storage facilities will be available. The course consists of three and half laps of Brockwell Park and there is a nice easy downhill start! Prizes will be awarded to the first three men, the first three women and the first M40 veteran, M50 veteran, W35 veteran and W45 veteran. There are also prizes for the first men’s and women’s teams (teams of three). Spot prizes will also be presented so everyone has a chance to win!